Myrtle Point, OR -- Archery industry pioneer and Norway Industries Founder, Tom Coffman, passed away Wednesday, May 11, at Mercy Hospital in Roseburg, Oregon. Tom had been traveling with his wife, Jean, and their companion when he suffered a brain aneurism. Tom Coffman's contributions to the archery industry span six decades. Though he would become one of the industry's leading manufacturers, his beginnings were quite humble - he operated a wooden arrow shaft company out of an old cow barn. For 60 years Coffman consistently doled out top-of-the-line equipment to the archery world. His legacy includes the time-honored staple Duravane arrow fletching as well as the archery industry's most widely used fletching device, the Norfletch automatic fletching machine. In recent years, under Tom's continued guidance during "retirement", Norway Industries manifested their production to include machining golf putters and rescue equipment, components for a top-of-the-line car top carrier company, private label pieces for many of today's prevalent archery brands, injection molded/extruded plastic components and machined metal materials. Thomas Edward Coffman came into the world on September 24, 1922 in Milton, OR, the son of Floyd and Millie Coffman. He died May 11, 2011. Tom spent his youth living on the family farm in northeastern Oregon until he went to college at Eastern Oregon College in LaGrande. It was in college that he met the love of his life. He and Jean started their life together six months later. That life included farming, working in a sawmill, and starting Norway Industries in1958. 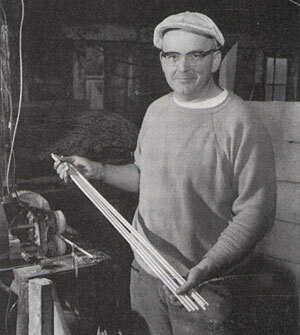 He loved the challenge of growing their business of manufacturing arrow shafts. He also loved flying his airplane, being on the school board, and serving his Heavenly Father. Tom's other treasure was his family. He was father to Janis Melton, Linda Holland, Becky Starr, Jodi Bouska, Carl Coffman, and Jill Halliburton; he was a grandfather to 17, a great grandfather to 21, and "looking for two more little strangers," as Tom would say. He was a strong father who showed his love by being a good role model, by providing for and protecting his family, and by loving his wife. He and Jean, who survives, had a love affair that lasted 67 years.